Chief Atahm School welcomes you to our Annual TPR Summer Institute. 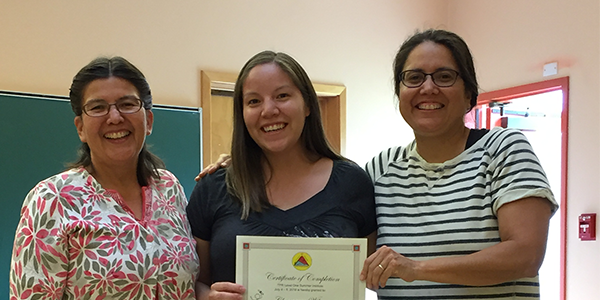 The summer courses provide an opportunity for language teachers and those working in the field of language revitalization to explore theory and practice. Two sessions are offered this year that are designed for new and experienced First Nations language teachers and course developers. This year we offer: a 5-day Classic TPR Course and a 5-day TPR Storytelling Course. The TPR Storytelling Methodology for second language teaching has been successfully implemented in language classrooms worldwide. This action and story-based methodology quickly develops a core communicative vocabulary for students in a fun, creative way. Chief Atahm School has developed an intensive training program to help language teachers build successful language programs through TPRS. During this institute each participant will be provided with training through lectures, live teacher demonstrations, multimedia, and group activities. This intensive 5 day course provides the theoretical and practical teaching applications so that teachers can plan and assess their language classrooms. 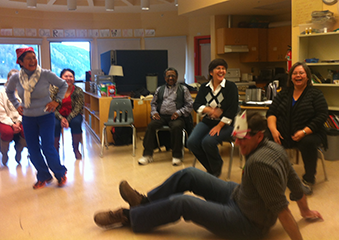 TPRS will be used to demonstrate teaching strategies, and the First Nations Language Essentials program by Dr. Kathryn Michel will be used to guide the program planning process. "What a great time I had"
"The TPR Summer Institute classes have provided the necessary skills for becoming an effective, enthusiastic, and confident language teacher. 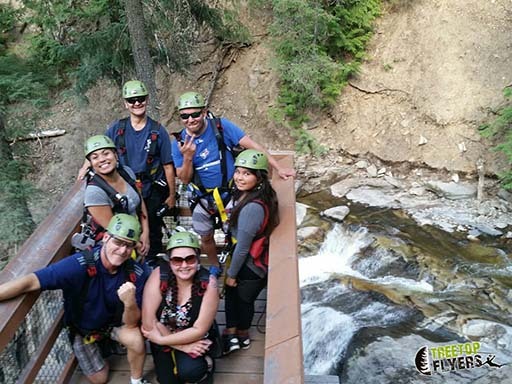 Not to mention what a great time I had meeting a ton of new people, zip lining, river rafting, going for hikes, and out for dinner." "I really enjoyed learning about other languages"
"These courses gave me tools on learning through actions, speaking, and using various combinations of gestures and questions. It was neat to take these courses with other Nations"